Imagine, if you will. You are strapped in a not-too-uncomfortable chair on a Boeing 787 Dreamliner, flying six miles above the earth, with absolutely nowhere to go and nothing to do for the next ten hours. You are surrounded by potentially crying and always squirming babies, one of whom is your own. You have just finished your shift of caring for the baby, and need to decompress (as much as is humanly possible in the compressed tube you are flying in). You notice your baby is squirming a bit more than usual, and feel (ashamedly) relieved that you don't have to deal with him/her for the next two hours. What do you do? It's pretty simple, actually. You absorb yourself in the plane's terrible Sci Fi movie collection. Because nothing spells plane-awesome like bad Sci Fi. My recent flight to and from Japan was graced with such timeless classics as The Wolverine (2013) and Pacific Rim. Take The Wolverine. It has all the makings of pure brilliance. Bad dialogue? Check. Terrible acting? Check. Orientalizing tendencies? Check. An adamantium samurai knight, the Silver Samurai? Double check. Were I in a different state of mind, I might have felt sorry for Hugh Jackman for putting himself through such a fiasco. Of course, the movie didn't have to be that bad. It had a promising plot: the ademantine-clawed super-animal has an existential crisis. The movie begins by highlighting the broader issue of death. Yashida, who is dying of cancer, wants to repay Wolverine for saving his life in Nagasaki (during the atomic blast) by providing the one thing Wolverine can never attain--life as a mortal man. Eventually, Wolverine has his powers forcibly suppressed. He finds himself out of his depth as, vulnerable for the first time, he faces off against ninja, yakuza, and adamantine samurai! In the process, Logan gets a taste of what it is like to get injured and to fear death: for the first time Logan lives life without the benefit of immortality. And he has to choose whether to live and love in the present, or possibly die and join his true love--Jean Grey, the Dark Phoenix--in the afterlife. How can such a promising plot fail to deliver? Well, we can thank Hollywood for that. First, the story really has no center. Instead of being focused on Wolverine, the true focus is on some silly family that nobody cares about. And that hurts to say, seeing how much I love Sanada Hiroyuki [Yashida's son]. 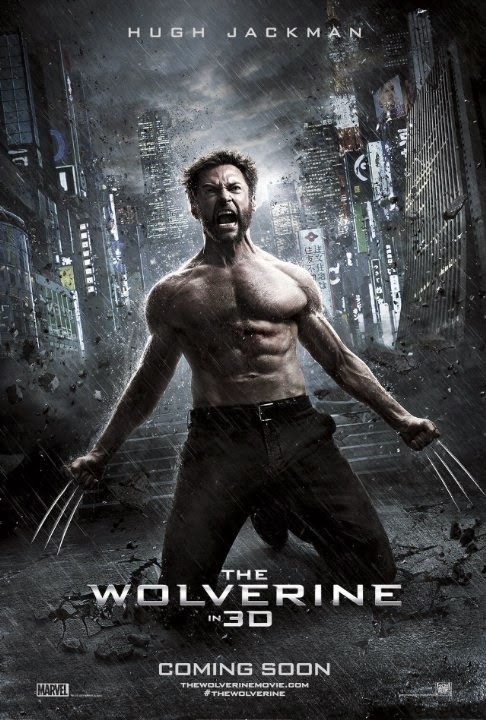 Perhaps Sanada should stick to making awesome Japanese movies... Making matters worse, I'm not really sure how it happened, but the The Wolverine features the most awkward and unconvincing love story of perhaps any movie I have seen. Mariko, Yashida's granddaughter, treats Logan with contempt, until she suddenly decides (for no reason that I can gather) that she loves him and wants a jillion Wolverine babies with little adamantium skeletons. Thank god I had the constant whoosh of the plane and the fear of crying babies to distract me from the love story. In the end, The Wolverine was almost as bad as its companion piece--X Men Origins: Wolverine. And that's quite something, as X Men Origins is one of the shames of the Marvel Universe! Pacifc Rim fared little better. Granted, the giant mechas were all very well crafted, and at their best the battle scenes were fantastic, if cheesy. And it had Stringer Bell saving the world! That at least gives the movie a +3 bonus. After all, what could beat Stringer Bell in a mecha? But the plot was stupid at best (Independence Day + Godzilla), and annoying at worst. There was little to no character development -- and most of the characters seemed to need a good punch in the face. And the dialogue? Almost as groan inducing as Sharknado or Star Wars, Episode III. 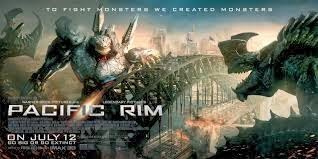 The bad acting almost wiped away my concern for the human race... And lest I forget to mention, Pacific Rim even fails the Bechdel test, something I had thought was nearly impossible in today's more gender-careful world. Just cause this is Nerds of a Feather, let's give some (un)objective scores. Baseline Assessment: 4/10 "Because I liked Wolverine to begin with"
Int'l Flight Co-efficient: 6/10 "Reasonably watchable"
Possible Crying Baby Co-efficient: 8/10 "Almost a masterpiece"
Int'l Flight Co-efficient: 6/10 "Groan inducing, and yet still pretty good. Thank you, Stringer Bell"
Actual Crying Baby Co-efficient: 9/10 "Would've done Michelangelo proud"